Did you know that just 8 percent of Americans achieve their New Year's resolutions? According to a recent study published in the Journal of Clinical Psychology, most of us fail to make good on our New Year’s goals. 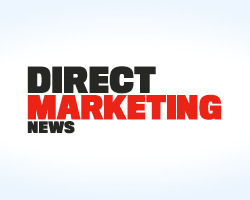 Last Tuesday, DMNews.com published a new article from Rob Tate, our Director of Enterprise Sales. In it, Rob urges marketers think about a customer engagement plan for 2014. Observing that engagement initiatives are often embraced as a priority but rarely survive to execution, he offers three concrete suggestions and encourages readers to think about budget-able, attainable, actionable goals. Rob’s core message is clear – start at the beginning, simplify and build on your success. Here’s to making 2014 the year we all meet goals we’ve set out for ourselves.